Personally I do believe it is a big deal. Believing in evolution leads one naturally to discount the creation and the fall and other core doctrines of the church regarding God and his actions. I have been in dialogue with BYU professors who espouse evolution to the point that they believe God had no visible role in the creation. Matters with the fall borderline on the ridiculous and things like the flood are completely laughable to them. The problem is that these philosophies of man are heavily entrenched in atheism. Believeing in Darwinian evolution, one is naturally drawn tot he conclusions that God is not needed in nature and even perhaps that God himself is just the mere product of random nature. Paramount to all of this is the principle of the human status. We are either the sons and daughters of monkeys and as such are mere animals or we are the sons and daughters of God having a direct lineal line through Gods literal seed. LDS doctrine teaches we are in fact the literal offspring of God and not the result of monkey love. It thus places our status above and beyond that of the animals. Believing in evolution will naturally lead one to disbelieve the Creator and in turn allow ourselves to justify animalistic behavior in our actions. Are we animals who can't control ourselves? Are we the sons of God who can? Evolution is a fact. Your artificial dichotomy can only lead you out of the church, should you ever choose to accept that the world is a real place. We are either the sons and daughters of monkeys and as such are mere animals or we are the sons and daughters of God having a direct lineal line through Gods literal seed. LDS doctrine teaches we are in fact the literal offspring of God and not the result of monkey love. It thus places our status above and beyond that of the animals. a) Evolution does not teach that humans descended from monkeys. b) Revelation has not stated that the physical bodies of man came from 'God's literal seed', but rather that our spirits are what are termed as Spirit Children of God. Congratulations. 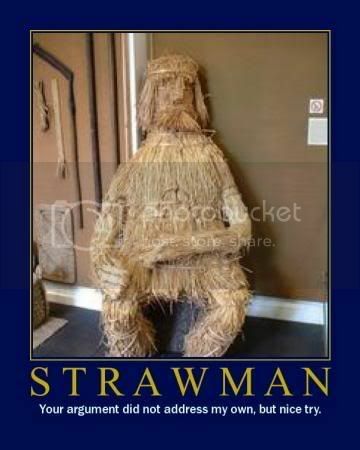 You have decimated a strawman of both the scriptures, and those who accept evolution. What? God doesn't know the value of Pi. Since the Bible clearly states that Pi is exactly 3, and the Church has never officially repudiated that belief. None of us will ever be Resurrected. Haven't read the thread yet but wanted to answer. Since "what actually happened" is unknowable in principle, the question is irrelevant. It might have, it might not have. Doesn't much matter to me. Everything in the temple is symbolic- that is what it is for. It doesn't say "Science Museum" on the outside. Every nuance is symbolic- nothing is literal. I reject your reality and substitute my own - Adam Savage, Mythbusters. BTW Rob, you have provided an excellent example of the logical fallacy known as the "Camel's Nose" or "Slippery Slope." In debate or rhetoric, a slippery slope (also known as thin edge of the wedge, or the camel's nose) is a classic form of argument, arguably an informal fallacy. A slippery slope argument states that a relatively small first step inevitably leads to a chain of related events culminating in some significant impact, much like an object given a small push over the edge of a slope sliding all the way to the bottom. The fallacious sense of "slippery slope" is often used synonymously with continuum fallacy, in that it ignores the possibility of middle ground and assumes a discrete transition from category A to category B. Modern usage avoids the fallacy by acknowledging the possibility of this middle ground. The idea of man evolving from a lower species of animal is a theory not a fact. Be honest is the best policy. Atheistic teachings of Darwinian evolution will lead many away from God. Your initial either/or is the logical fallacy of false dilemma (also called false dichotomy, the either-or fallacy) which involves a situation in which only two alternatives are considered, when in fact there are other options. Then you make a logical leap, without any basis, other than personal opinion, that if we are daughters of monkeys, then we are not the literal seed of God. Is my physical body the literal seed of God. What is wrong with monkey love any way? Are we not part of the animal kingdom? What is the definition of a "scientific theory" vs. the non-scientific definition? Be sure to know your terms and what they mean when you use them. It is both a theory and a fact. Just like gravity. The theory explains how it happened. That it happens is a fact. When are you having your name taken off the rolls? Be honest is the best policy. Atheistic teachings of Darwinian evolution will lead many away from God. Okay, I will be honest in my next sentence. Sunday School teachings and associating with members of the Church will lead many away from God. Look at Rob. This is the result of his brand of faith. In order to maintain it, he has to construct his own fantasy world and ignore any bits of reality that threaten the fantasy. That's not healthy faith - that's blind faith, bordering on superstition. Extreme literalism is not healthy. The gospel is rich in symbolism. I don't know how anyone can spin that many plates and keep them from falling. It is amazing but most of our "prophets and seers" have been doing it continuously (judging from what they wrote on the topics of evolution, flood, Adam etc.). Rob is no worse than Bruce R. McConkie, Joseph Fielding Smith or a host of other greater or lesser lights. I have been in dialogue with BYU professors who espouse evolution to the point that they believe God had no visible role in the creation. I think the wording should be "not discernible". If you disagree, I for one would be extremely interested in the physical evidence thet you seem to be privy to. things like the flood are completely laughable to them. Have you studied any relevant geology? The first (Christian) geologists went off looking for the flood evidence. They came back with evidence it never occured. Sort of like the current attempt with the RATE study to find out the flaws with radiological dating. They failed. Are you living in a cave? Are you ignoring the commandments in the D&C to seek learning even by study (as well as by faith), from ..(gasp) books? Believing in evolution will naturally lead one to disbelieve the Creator and in turn allow ourselves to justify animalistic behavior in our actions. Yep I have found myself visiting the brothels in Nevada since discovering human chromosome II and ERV evidence. I have found that knowledge of certain facts removes ALL self-control. It's worse than a drug..
David O McKay kept his private life well hidden.. Since joining the church 30+ years ago I read and believed in the ideas AS you espouse them. I found it curious though that I never once had a bishop or a stake president that did not accept evolution. Eventually I broadened my studies as well as gaining a degree that dealt with nuclear physics which forced the facts upon me. Luckily I learned about David O McKay and other leaders who disagreed with JFS and BRM. I don't think I would have left the church because of the many experiences I've had that cannot be explained away, though I probably would have suffered from a permanent migraine. Beginnings are funny things. They seem to violate established patterns that hold sway later. Take for instance priesthood and baptism. Which came first for Joseph and Oliver? ITs not what the chapel church teaches. Its what the internet church teaches. To regard the events recorded in thousands-year-old poetic religious texts as a literal history, while actively disbelieving accepted evidence-based ancient and pre-history, is to quite frankly live a delusion. I view the creation story as wholly allegoric, with Adam and Eve as symbols of humankind - not actual people who ever lived. Come on now: talking serpents? fruit of knowledge? cherubims and flaming swords? The whole narrative is clubbing you over the head with symbolism, and screaming "THIS IS LITERARY ALLEGORY". David O. McKay: pioneering internet Mormon. It's obvious unless you're emotionally invested in taking it literally. You seem to believe that because the Preying Mantis, and the Black Widow are among a few species that eat their mates. That some how justifies human cannibalism. As to a global flood. This seems pretty literal to me unless you consider Adam and Eve to simply be the first spirit children to enter bodies. And mortality simply means the serperation of spirit children from their bodies. Which is exactly what I do consider. Which mormons are not required. I would say the line in the sand for literalism is the reality of God, Jesus and the Restoration. Even then those are just "guidelines" anyway. I expect that an investigator who loved the church, sincerely wanted to live the gospel and render service to others in official capacity, but could not bring himself to believe in God, would still pass a baptismal interview. Well, not since the first questions are "Do you believe that God is our Eternal Father? Do you believe that Jesus Christ is the Son of God, the Savior and Redeemer of the world?" As a Missionary, if the answer was negative, we would not baptize them. There was never, however, a question of, "Do you believe that there was no biological death before the fall? Do you believe that the story of Adam and Eve describes a literal historical event? Do you believe that evolution is an abominable belief that mocks God and His Prophets?" I don't. See question ONE. I have been taught from the very beginning by my mother that I should go to the temple with the idea that everything is in symbolism, so from the very beginning I have done that. Your mother was wrong. Not everything in the Temple is symbolic. Some of it is exactly what it appears to be.